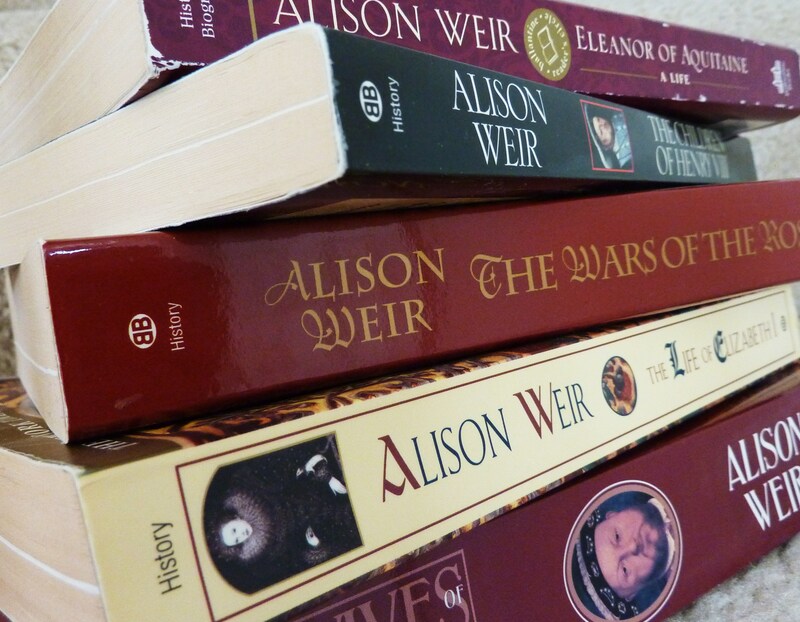 Ever read one of Alison Weir’s nonfiction books on Tudor history and, though you enjoy the information, you simply cannot track where it comes from? Many of Weir’s popular works do not include the footnotes and other citations that most nonfiction books do and this has been a source of contention for me as well as others. “Regarding source notes, I must say that my publishers would not allow me to include source notes in my early books – they were then regarded as inappropriate in so-called popular history books. When that editor retired, I insisted that they should be included. Would you believe I then had people complaining that they were a distraction? “I was told to indicate in the text where the sources came from, but that takes up a lot of text, and you cannot do it in every case. It was not a good decision, and I was unhappy about it, but the world of publishing was very different then, and a new author doesn’t have much clout. I thought it would be a good idea to present this, for the record, and I thank Alison again for her participation and time! Barb: You oversee all the historic royal palaces; which is your fave and why? Barb: As an American who grew up in a house built in 1898, I always believed that was “really old” — until I lived in England! I was that person who would touch the stone walls of castles and marvel that they stood for so many centuries, that medieval kings and queens had walked down the same hallways I was walking. Being British and working around these historic sites day in and day out, do you have that sense of awe? Has it lessened over the years? Grown? Dr. Worsley: It’s a really enormous privilege to spend the day in any of my places of work. It was because I enjoyed being in old buildings that wanted to work in this field in the first place, and I don’t think I shall ever lose the pleasure I find in wandering through our grand state apartments or dusty forgotten attics thinking about the people who’ve gone before me. Barb: I understand that your interest in history came from reading historical fiction as a young girl. I cannot get into historical fiction because it drives me crazy not to know what’s true and what’s made up! Now that you work around so much history on a daily basis, do you find you still have an interest in historical fiction? Dr. Worsley: I’m not the biggest consumer of historical fiction, but it’s a fabulous means of finding your way into different periods. Thereafter I feel you should graduate to ‘real’ histories based on documents, and those are the books I most like to read. However, I also study novels for the way they bring history to life. For example, Michel Faber’s The Crimson Petal and the White, about a prostitute in Victorian London, is all written in the present tense, and reading it gives you the feeling of watching a film. So I decided to write my book about seventeenth-century country house life, Cavalier, in the same way. Barb: As the chief curator of Historic Royal Palaces, what has been your most exciting find in the recent past? Dr. Worsley: Oh, I was super-thrilled very recently when we found what might be Henry VIII’s bath tap! 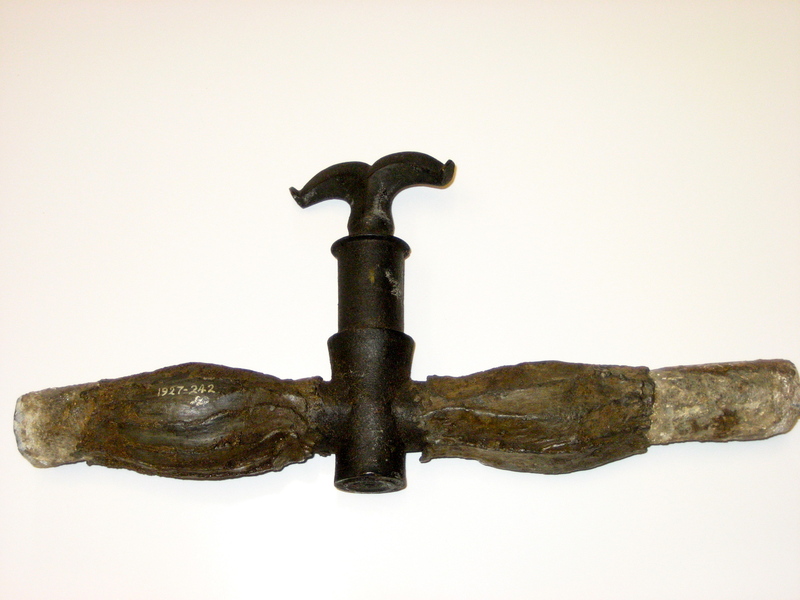 We recently discovered this ancient tap [below] tucked away in the curators’ offices at Hampton Court. It looks Tudor, though we’re not 100% sure. If it is, it’s so tempting to imagine that it might once have filled Henry’s tub! Barb: Historic Royal Palaces include the Tower of London and Hampton Court Palace, two of the most spectacular historical buildings in the city — and some say two of the most spectral-friendly! Have you ever experienced any ghostly happenings in these places? Dr. Worsley: Sorry, never seen a ghost. But one of our assistant curators was lucky enough to get to BE a ghost – she provided the silhouette for the projected ‘ghostly’ image of Katherine Howard that occasionally flickers over the wall in the ‘Haunted Gallery’ at Hampton Court. It’s very subtle but effective, and I’ve seen it make visitors jump out of their skins. Barb: What are some things most people don’t realise about Henry VIII? Barb: In your Arts Industry magazine interview, you are quoted as saying, “I like to shock in a cheeky way.” Right after my own heart! And I was pleased to see that you took on David Starkey in his statement that female historians like to show off their looks on book jackets and have turned Tudor history into “a bizarre soap opera.” I think it’s so important to remember that the Tudors, like all historic figures, were human and thus had human needs, worries, joys, domestic routines, traditions, medical issues, and the like. 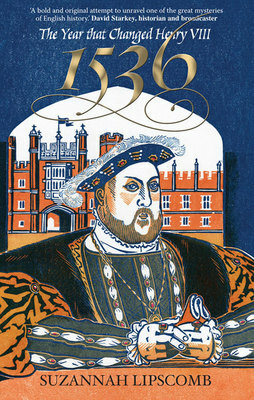 What kinds of social history would you like to see brought to light as far as the Tudor dynasty goes? Dr. Worsley: I’m always interested in how people really lived their lives. I like the knitty-gritty details of what they wore and how they walked and the mundane thoughts about life or love or even boredom that pass through people’s heads every day. I think that things like food, clothes, furniture and art can help us reconstruct a mental world – and this challenge is just as important as examining foreign policy or national politics in the past. When we work out what a piece of medieval furniture looked like, really trying to see into the mind of the person who owned and used it. Barb: Is there a Henry VIII wife who you think is misunderstood? Do you think he had a fave, or even several? Dr. Worsley: We quite often have a debating event at Hampton Court where different curators ‘make the case’ for the different wives and the audience vote for their favourite at the end. For some reason I always get stuck with Jane Seymour! (Catherine of Aragon and Anne Boleyn are usually people’s joint favourites.) To modern tastes Jane is a little bit anodyne and we don’t hear much of her voice – but I always argue that we should judge the wives by Tudor standards, and Jane was the only one absolutely to fulfil her job description, i.e. to give the king a son. That’s why she’s the one with whom he chose to be buried. Barb: One of my favorite parts of National Geographic’s “Inside the Body of Henry VIII” was your spin round Tesco to do Henry’s weekly shop. It was a classic show-don’t-tell that I tried to employ often as a teacher, because it’s a way to present information in a memorable fashion. Does Historic Royal Palaces ever offer public events that would allow people to get inside history rather than simply providing them with written facts? If not, are there any plans to do so? I imagine it would be wildly popular! Dr. Worsley: I can’t tell you how much fun we had whizzing round that supermarket doing Henry’s weekly shop! If you visit Hampton Court or the Tower of London, you’ll probably meet some of the professional live interpreters who perform in character as members of Henry’s court every day. This is actually really hard work because they need to entertain as well as inform. And it’s hard work getting in and out of the clothes too! Dr. Lucy Worsley’s new series ‘If Walls Could Talk, An Intimate History of the Home’ is showing in the UK in April on the BBC. She is currently filming another series about “the naughty Prince Regent.” Cheeky! Her most recent book is The Courtiers: Splendour and Intrigue in the Georgian Court at Kensington Palace, published in 2010 by Walker Books. Check out her fabulous site!